Stand out from the crowd with the forward-thinking design and performance of our 2017 Volkswagen Jetta S Sedan that pours on the charm in Platinum Gray Metallic! Powered by an impressive TurboCharged 1.4 Liter 4 Cylinder that offers 150hp while connected to a 6 Speed Automated transmission. This Front Wheel Drive Jetta helps you score you near 39mpg on the open road. 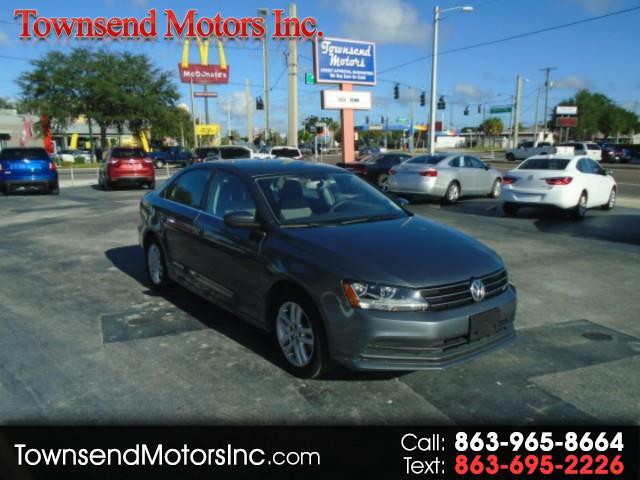 We guarantee you will be looking for reasons to get out and drive in this Jetta! Roll up in style behind the wheel of our Jetta S that's perfectly accented by LED daytime running lights and distinctive wheels.